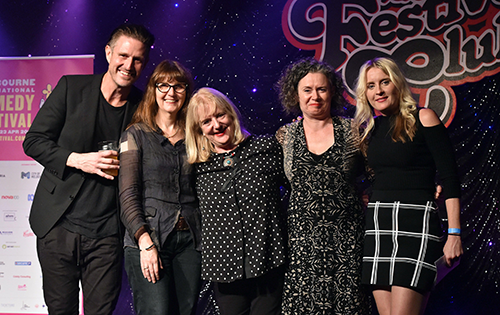 The Vodafone People’s Choice Award was announced on Saturday 22 April at the Festival Club, awarded to the show with the highest ticket sales across the Festival. It was a tie with congratulations going out to Wil Anderson and Judith Lucy & Denise Scott! Since the start of the 2017 Melbourne International Comedy Festival, Vodafone and the Festival have tracked trending shows and awarded $11,000 worth of Melbourne Comedy Festival vouchers - as well as a trip to Hong Kong to see the Melbourne Comedy Festival Roadshow! Head over to the Festival's YouTube page to watch videos from some of the Vodafone People's Choice top trending shows.